Happy Thursday! 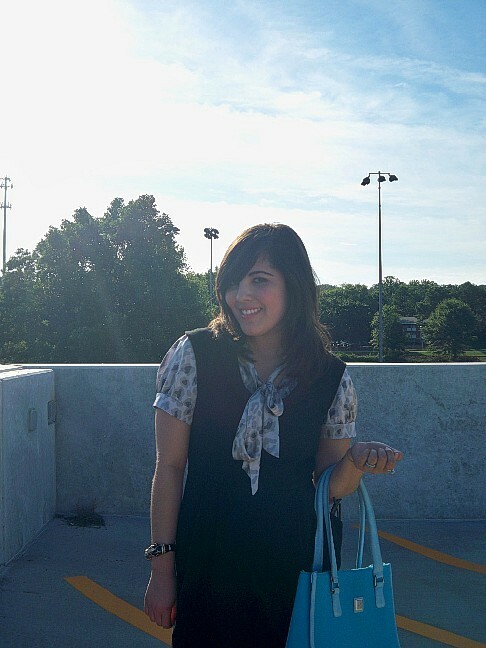 Here's what I wore yesterday to a networking event at my alma mater. I can't believe I've never shown this outfit on the blog yet, because it has been my go-to outfit in retail and I think it works for professional events, too. I don't really like to wear suits to these kinds of settings because they can read as a bit stuffy, especially in a creative field, so I usually opt for a modest dress and I add accessories that reflect some of my personality. That's also what I've done on my last couple of job interviews too (and I got the jobs in both those cases). 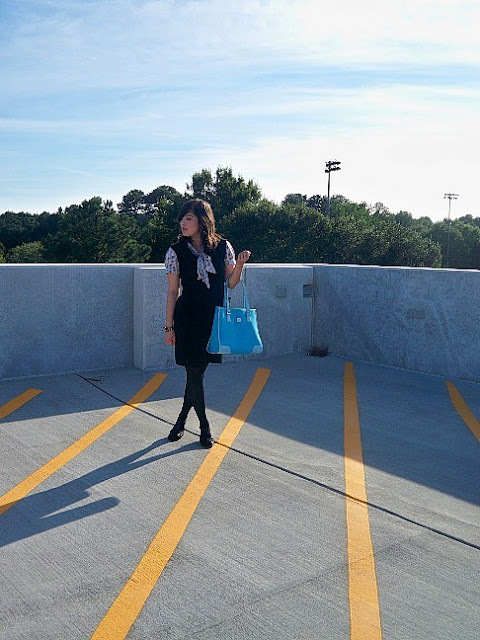 The DvF bag is also something new to the blog; my mom purchased it for me while I was in college, and it's held its own against lecture classes and 9-to-5 work environments. What's strange is that I don't really like the colors black and grey, but this combination felt very me with the cougar bracelet, and the little blouse bow. 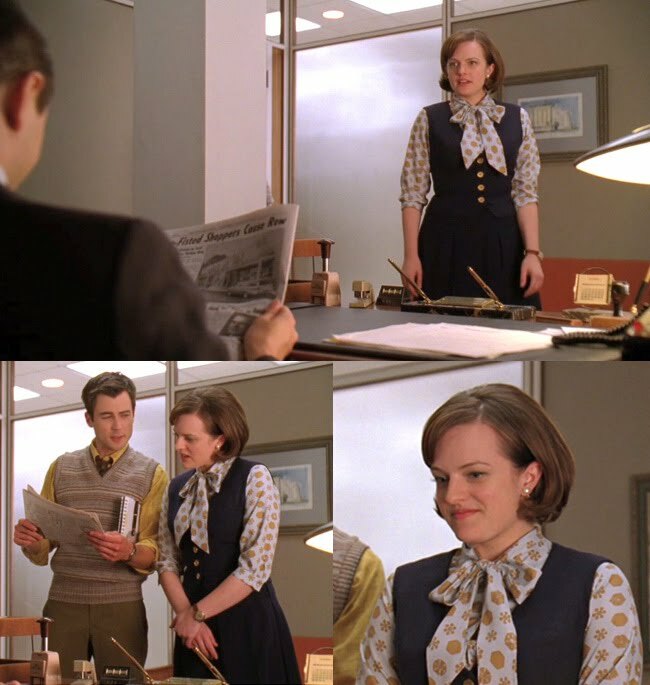 I have to admit, some "Mad Men" ensembles were my inspiration, particularly this one from Peggy and this one from Faye. It felt like a pretty productive day! What do you wear to professional/networking events and job interviews? I have a hard time deciding what to wear to interviews because I'm often interviewing in a creative field... so you almost don't want to go too conservative... But I LOVE this on you JoAnn! Everything about it is perfect, including the location! What a pleasant surprise! I'm so used to seeing you against beautiful nature background so this urban setting is pretty fresh. I normally reach for my shift dresses, professional but ain't too stuffy as my suits! Unfortunately I'm not in a creative field, so it's boring ole suits most times when I go to a business event. Yep, envision the sea of dark suits, that's my world. Wow! Your background surprised me, but I love the change (though I always love your park and lake shots). The blouse adds such a fun, romantic touch with the bow detailing, and that bag is the perfect size and color. Love this look! Such a lady! 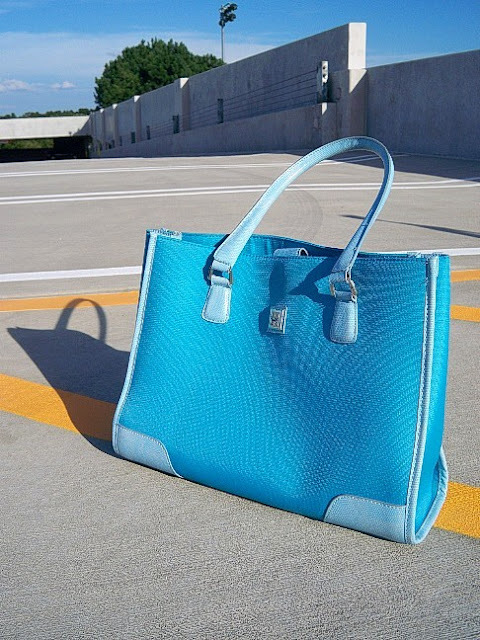 I adore the bag - what a great way to inject some color into this ensemble. I like the urban setting instead of your usual softer outdoor settings. This is a great professional outfit. oh I love your bag! its such a great colour! I like the tie-neck blouse, and wearing it under the dress changes the look of the dress completely. Hopefully this time you'll snag some interviews (and a job) too. Bam! This looks really great on you! I love the crazy bold punch of colour against the more subdued outfit. 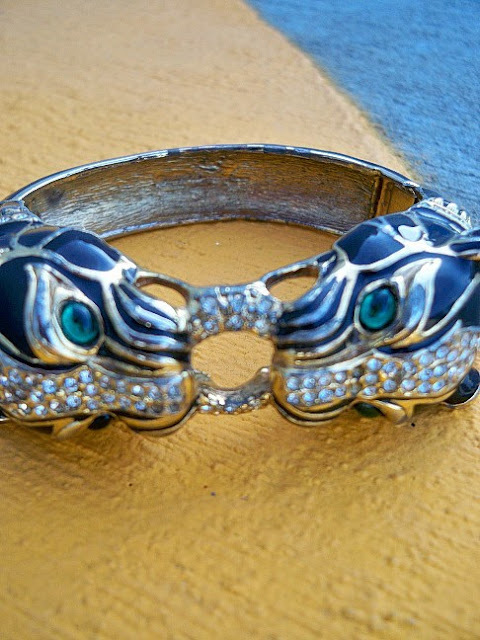 Oh man, that bracelet is too cute. It was actually harder than I thought when I tried to dress for my first job interview (one that's more formal, anyway) this summer. I think I was worried too much about whether I'd be deemed "inappropriately dressed." So I went with a pretty basic look: long skirt with an eye-catching blouse. I figure that's both professional and chic (that doesn't involve a pant suit). I really like your business look, it does remind me of Peggy! You're too cute! 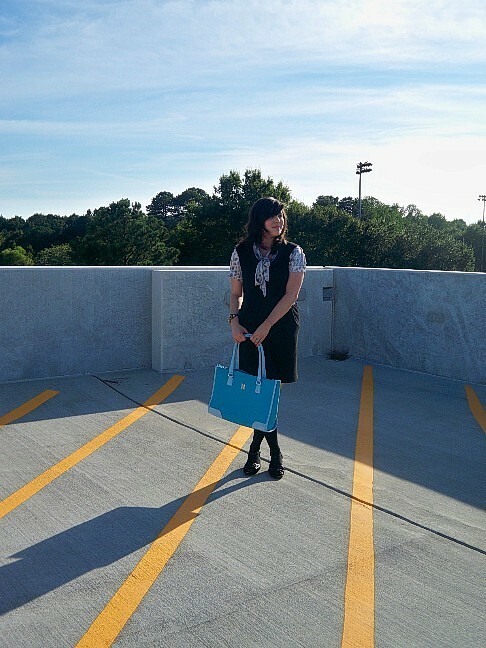 And we took some photos on that same parking deck in undergrad. Ahhh, I miss Athens. FABULOUS photos, but I can't believe you're wearing tights! It's still way too hot here! You look beautiful!